Hugs, Cuddles and Belly Rubs all day! At INN the Dog House you do not have to worry about your pet falling asleep! The dogs do enjoy their quiet time and have no issue falling asleep through the night after a long day of activity and play. Think of it as a slumber party! Your dog will choose the friend they want to cuddle with and choose the bed they feel most comfortable in. All dogs are fully supervised throughout the night with our caring staff! Feeding while in cage-less boarding is the only time your dog will be alone. We will never feed them in groups and will follow all instructions left with us while they are in our care. 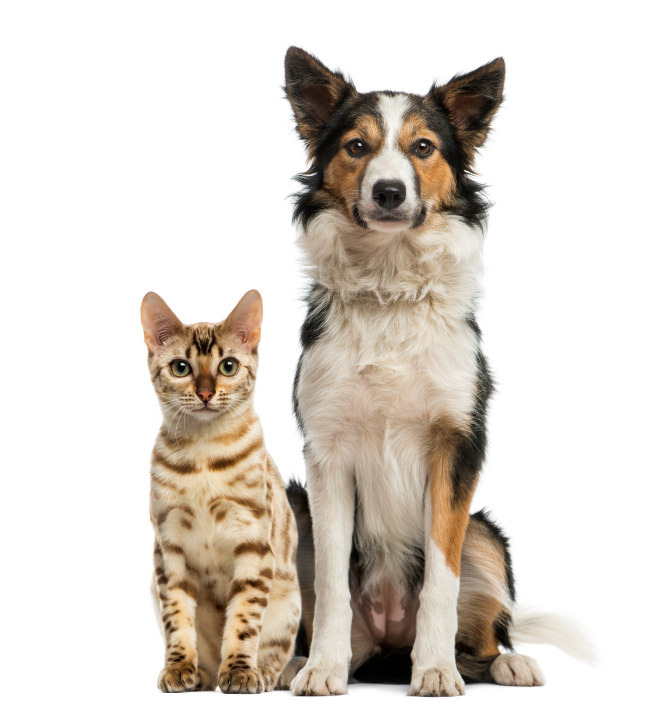 We will cater to all of your pet’s needs while they are our guest. We can mix food, refrigerate, heat or freeze anything that is required for your dog’s comfort. All cage-less boarding guests can enjoy available concierge services for an nominal fee. Late Pick-up: Check-out is before 12 pm, a day care fee will be charged if you cannot pick up by 12pm . Your pet will be considered an overnight guest if not picked up by closing and will incur an additional fee for overnight boarding. Not all dogs are candidates for cage-free boarding. Your pet must be spayed or neutered. All breeds are welcome at INN The Dog House, however, some breeds are not best suited to cage-free boarding. We do not allow bully breeds or dogs that have to be constantly monitored for behavior issues to be in cage-free boarding. Please call us for more information on cage-free requirements. House Food- We will be happy to provide house food to your pet, if needed, during their stay. Our house food is a grain free diet and canned food is available by request, as well.